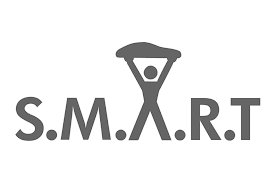 Fast and easy mobile safety management app. Get real-time visibility to uncover insights and reduce the bureaucratisation and compliance of work. Work Safety Hub is a safety management app used to empower your workers in the field. 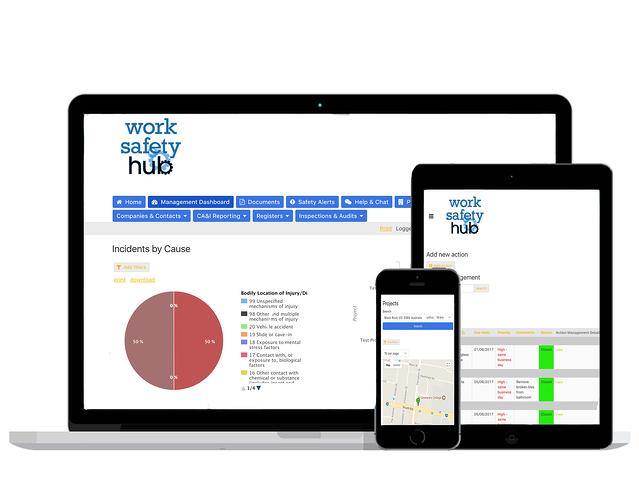 Combined with the web platform, Work Safety Hub provides visibility and insights to help raise safety and quality standards across an organisation. Your team can collect consistent data, standardise operations, send reports, identify failed areas and get problems resolved. 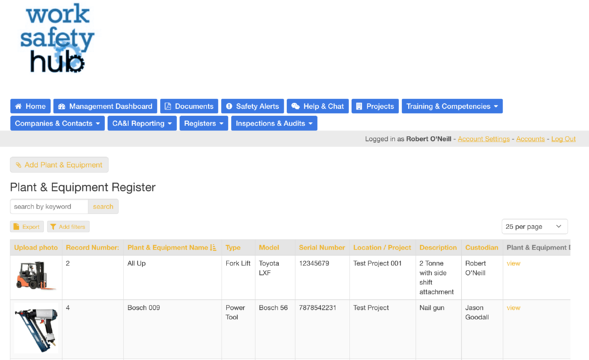 Instantly access all your safety management workflows, forms and process documents from any location. 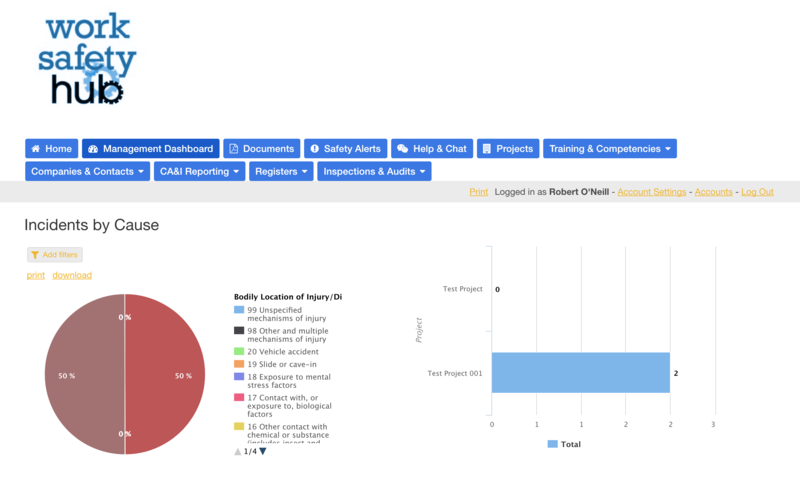 Report incidents, identify hazards, escalate corrective actions, complete inspections, analyse trends all in one platform. Dashboards provide realtime powerful insight into your operations, allowing your people to evaluate, assess and determine risk control strategies. The insights your employees provide give actionable direction on where the organisations valuable resources should be prioritised. Quickly get your fingers on the pulse in your business. 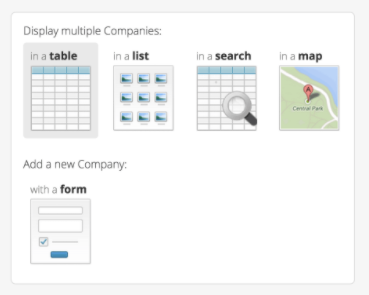 Provide employees with instant access to the most up-to-date forms from any location. 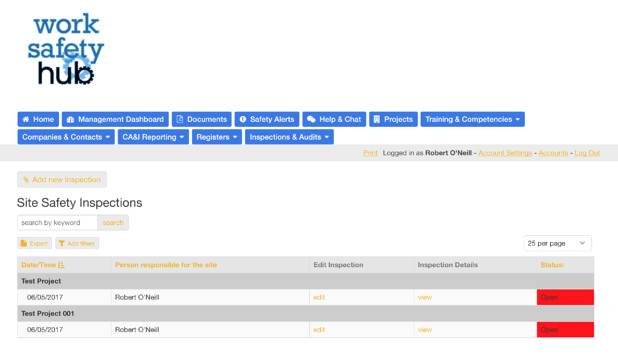 Enable them to complete inspections regardless of the type of work environment. Our highly qualified WHS experts will customise the checklists for you. Access the inspections on any device, iOS, Android, or Windows smartphone or tablet. Maps & Geo-Location automtically plot your position where you are. No need to enter sites and addresses. 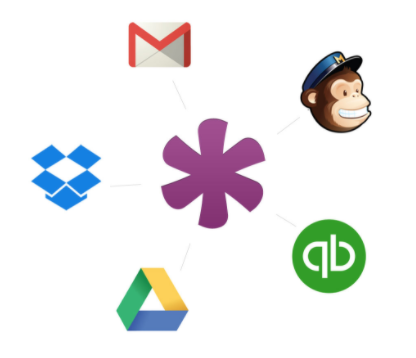 Automatically send corrective actions to responsible parties and automate reminders for follow up. Enable your employees to easily manage your safety critical assets to ensure they are fit-for-purpose, maintained in a safe condition, inspected and verified, and used by those with the appropriate competencies within your organisation. Barcode tracking facilitates easy record management and reporting. Tap into your success to understand and predict where your next accident might actually come from. Learn more about how your employees absorb and adapt to work to create safety everyday. Automated workflows assist your organisation to reduce the performance drag of excessive compliance, declutter, devolve and decentralise your safety bureacracy. Your people will provide you the solutions to harness, they are not the problem to control. Gaining insights into the dignity of work as actually done, improves safety and efficiency. People create safety everyday, they recognise, absorb and adapt to conditions outside of what a bureaucracy or system of compliance can know and predict. Your data is everywhere. Work Safety Hub lets you connect to all of it with thousands of connections powered by Zapier. Developers can do even more by integrating with your existing systems or adding more functionality. Forget cookie-cutter software: We build a custom solution that fits your exact needs. No more "Not Applicable"......We modify your system modules so you get to define the exact features you need: no more, no less. Compliance imposes a performance drag on your organisation, it robs you of precisely the sources of human insight, creativity and resilience that tell us how success is created, and where the next accident may well happen. Unlock your potential now! "Work Safety Hub is definately better than the alternatives I looked at in terms of ease of development, better end-user experience, no confusing menus and safety slang, and the value for money is just brilliant." “The way Work Safety Hub completely customise the solution to our needs is fantastic, it means our people are'nt being asked to navigate thier way through a whole bunch of not applicable”.